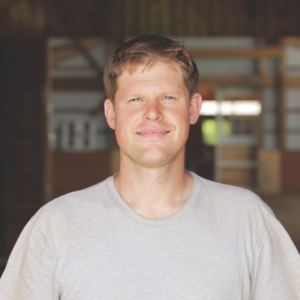 Madison Fields Barn Attendant, Adam Jones, shares how the opportunity to work in the field he loves has helped him “find his true self” in this enlightening mini-documentary. His story is part of a series produced as a vital part of Madison House Autism Foundation’s Autism After 21 campaign. The Imagine 21 mini-documentary series aims to intimately acquaint viewers with the people and lives affected by adult autism, dis-spell ignorance around the diagnosis, and bring attention to the challenges and the successes experienced as our friends navigate their lives in the context of our society. AJ’s story highlights the benefits that can be realized when workplaces foster a supportive environment where the talents and skills of adults with autism are recognized, valued and developed. But this story is not the one playing out in the lives of most people in AJ’s situation. Unemployment and underemployment disproportionately affect adults with autism. According to a 2017 Drexel University report, only 14% of the autistic adult population held a paid job in the community. This reality contributes to a number of negative outcomes, not only for those with autism, but also their loved ones and fellow citizens. Nationally, these unemployment numbers contribute to the annual $300 billion economic toll on our society resulting from a myriad of gaps in our current models of support. It also shapes our attitude toward those with autism and blinds people to the value they have to offer us. For caretakers, who are often aging parents, it means isolation from community as they take on the full responsibility of finding other ways to engage the one they care for with society. They live with the anxiety that their loved one’s needs will not be attended to should something happen to them. For the unemployed individual, it means the loss of an opportunity for growth, a chance to feel valued, and the ability to find belonging in the world. 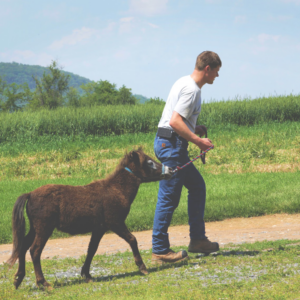 At Madison Fields, we strive to create agriculture-based businesses that make space for those on the autism spectrum to contribute alongside the general population. We are so lucky to have the pleasure of working with AJ as we bring our common vision into the world.